These are what I use on a daily basis in the toilet – I need to out on it wet and need to wash it off. 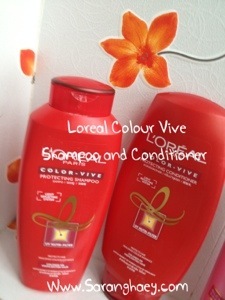 I NO LONGER USE THE L’Oreal ones! The only reason I purchased this was because i thought that it helped with dyed hair and it was on promotion when I was browsing for shampoo and conditioner. It does help with the colour retention only alittle bit, the hair colour only lasted me 2 weeks tops. It doesn’t help with the fact that my hair is dried up due to the multiple bottles of bleach I have used in the past months. If you only dyed (not bleach) you hair, I would recommend it but if your hair is damaged and fizzy, do not get this! Treating your hair to become healthy is more important than retaining the colour. Get something that actually help you hair. This made my hair more frizzier 😦 I thought it helped, but not really. I recently changed my shampoo and conditioner to further help my hair. the Loreal shampoo and conditioner was seriously drying my hair out. All my current hair care are from Essentials. Shampoo, conditioner, hair mask and the hair treatment consistently. Instead of washing my hair everyday, i was it once in two days. I go all Essentials now. I needed to start using this as because the previous shampoo was drying my hair out! it worked for 3 months but after that things went crazy! After Shampoo and Conditioner/Treatment, this goes on for 10 minutes then wash out with warm water. I strongly recommend this brand (the shampoo, Conditioner and Treatment)for damaged hair and for bleached/dyed hair, especially for bleached. I first received 3 packs of samples of both conditioner and Shampoo in the mail before going to Taiwan, it helped soften the initial frizz and shock from the harsh treatment and the sudden change of weather. I had only 3 sample packs back then and I was in Taiwan so I only had to wait till I get back to Singapore and Indonesia to buy the full size ones to fully say “I LOVE THIS PRODUCT!”. My hair was dead since I bleached it the day before I left to Taiwan. The cold weather in combination to the bleach made my hair crazy without proper treatment! I bought the conditioner and treatment after I got back and it helped my hair go back to the normal texture in 4 days! Hair Mist: Spray it to the roots and anywhere else of your hair. Message it into the roots. 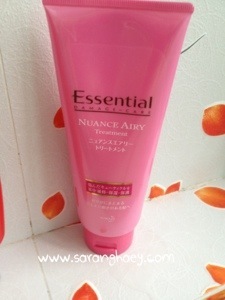 Hair Serum: 1 pump for first to the very ends if my hair and another to slightly higher. These two I just got in 2013 and I am already beginning to like it. The hair mist I believe won’t help if you have crazy frizz and split ends, but it does help you make your hair feel less dry than it already is when applied. It has a slight pleasant floral to it, actually all the silk scarf line does, but I am not too bothered since it does eventually leave. This is more of a waste of money because it did not do much compared to other hair care products. 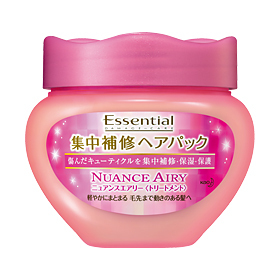 I will recommend bringing this to winter weathered places since the air tends to dry out everything. This will not oil up your hair or scalp, be sure to shake it before use and don’t be scared to use a lot. The hair serum I have just purchased yesterday. Prior to trying it in the store, I just had towel dried my hair as usual. When I got to the shop and applied 2 drops/pumps of this, my hair felt better in texture. The consistency is like hair oil, but not as oily. It feels like a slightly oily gel, but once the ends my hair took it in and dries, it leaves a smooth finish and even my hand has no oily residue in it. It does not oil up my hair as other brand of serum or conditioner or treatments do, though i am not sure if this is a goof or bad thing. But it’s just the first day, i have to try out more to be sure i really like this product. I’ll try it out at least a week before doing a review on this along side with an Etude House Haul. 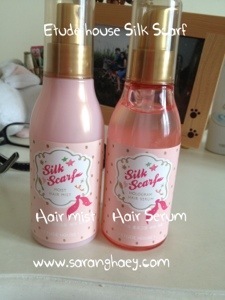 I tried the hair serum, it works for me as a soft hair gel then a proper hair serum. I don’t know but the two etude house hair product is not a must – have and i won’t be repurchasing them again.